Get ready to pop some bubbles and beat all 50 levels in this highly addictive bubble shooter! Object of the game is to combine at least 3 same-colored bubbles to remove them from the field. Complete each level's goal and try to earn 3 stars. Play strategically and make us of special bubbles that explode bigger areas, destroy vertical or horizontal lines or give you additional points. Can you achieve a high score? 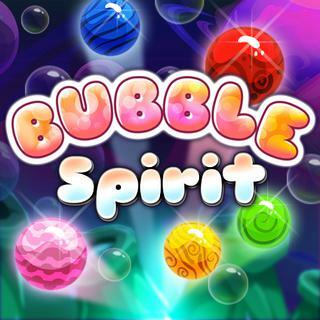 Bubble Spirit - Find Bubble Spirit in our vast HTML5 games catalogue. Only the best and newest HTML5 games for all audiences. Guaranteed success with Famobi.